Mission: To enhance our Parish's sacred space with an eye to the meaning and purpose of liturgy throughout the seasons and feast days of our Liturgical year. Current Activities: Change the liturgical environment for the Advent/Christmas/Epiphany, Lent/Triduum/Easter seasons as well as the two parts of Ordinary Time. Ministers use different resources for continuing education to learn what is liturgically correct and is conducive to worship and prayer, as well as to provide for continuity of the ministry. Members will follow the request or direction of the pastor or presider, will consult with staff, especially the sacristan and parish secretary, and work with other ministries when needed. A calendar of preparation dates and times will be established early in the year to help avoid conflicts, but the ministry members will adapt to necessary events/celebrations for our parish through ongoing communication throughout the year via emails, phone conversations, etc. Members work together as a group, consider the needs of our parishioners, and make decisions using consensus of the team. Current Volunteer Opportunites: The ministry welcomes all who have experience in preparing the Liturgical Environment, as well as those who wish to gift their time to help our mission.. Meetings: 4 to 5 times a year with other ministries to communicate, cooperate, and co-ordinate the changes in the environment. 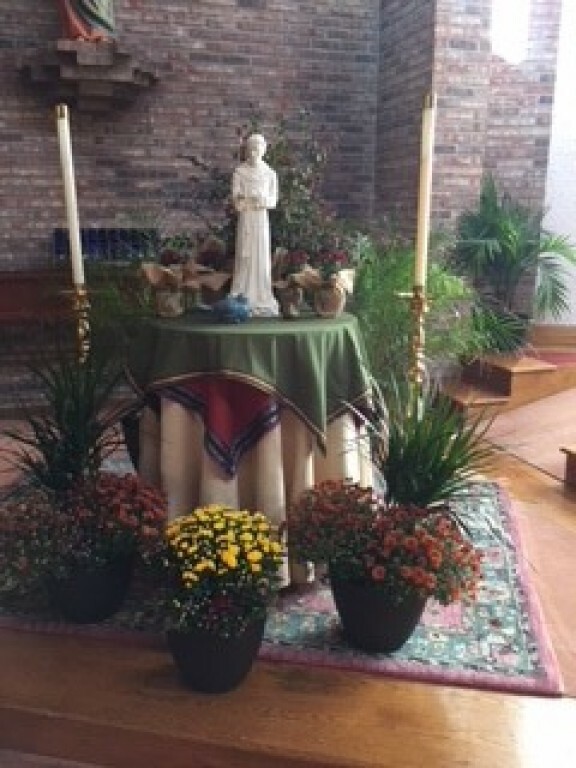 For more photos of our Liturgical Environment, please click on the photo above.